Biomass boilers are an efficient form of heating used to replace the traditional systems. Not only do they burn environmentally friendly products, but they’ll help you to reduce your energy bills too. Non biomass boilers burn fuels such as gas and oil to generate heat, meaning more carbon emissions are created and your energy bills are higher. Biomass boilers are just as easy to install in homes, and local councils are now opting for this type of heating system for new builds. Biomass boilers are also an effective way for the Government to meet renewable targets. Biomass boilers are notorious for their energy efficiency and can be used for both your central heating and hot water supply. These types of boilers burn renewable fuels that aren’t in danger of running out, unlike oil, coal and natural gas. Instead, biomass products include wood chip, wood pellets and crops. With biomass boilers you’ll be able to help reduce the damaging effects of global warming. Other renewable products that have the same effect are solar panels and heat pumps. These renewable heating systems can be installed into nearly every home and in most cases will fit into the same place as your old appliance. Commercial biomass boilers would be larger installations designed to provide a far greater heat output. With the burning of biomass products, ash will be created. This can be used to fertilise your garden and needs to be cleaned out every six to eight weeks, depending on how much you use the boiler. A biomass boiler won’t be suitable for everyone, so if you’re considering an installation you should make sure it’s right for your home. First and foremost you’ll need a large area in which to store the fuel supply. Whether it’s wood pellets or crops you’ll have to keep the biomass products somewhere. Building Regulations could become a problem if anything has been detailed for your area. If you’re unsure of the regulations for your property or local area, just speak to the council or a local planning officer. The flue, which is used to release waste gases into the atmosphere, must also not exceed one metre of your roofline. Otherwise planning permission would be needed. This is the same for domestic biomass boilers in Conservation Areas or World Heritage Sites. If you’re interested in slashing your energy bills and utilising a renewable form of heat, why not apply for up to four FREE quotes. You’ll hear from vetted and reputable companies, so you can compare biomass boiler quotes and decide if an installation is right for you. Project: Windhager biomass boiler needs a service error code burner blocked. They came did an assessment but did not get back to me re any sort of price or and sort of timescale as to how long it would take. The consultant also did not provide any info regarding tanks where the heated water would be placed. We are unable to benefit from Biomass boilers but that should not detract from the professionalism of the company rep. We enjoyed doing business with this company due to their honesty, in not trying to sell us something we could not benefit from. Thankyou. Homes are given an energy ranking depending on just how efficient they are and ratings are shown in the data below. This varies from A, by far the most energy efficient, to G, the very least efficient. With a higher rating you're more likely to have more affordable energy bills as more heat is going to be kept in your house. 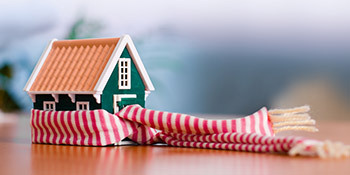 You can increase your home's efficiency with insulation such as upvc double glazing, loft lagging or wall cavity insulation. There are numerous types of property in the UK and the info below highlights the type of houses within Uk. Throughout the country the most popular housing types tend to be semi-detached and terraced housing, although detached homes, flats and bungalows are also available. The pie chart below illustrates the percentage of households in Uk that are central heated and non-central heated. Central heating figures in the the greater part of UK properties, which includes those on the gas grid and homes heated by oil and electric. The information below displays the spread of homes heated by various fuels. Throughout the UK the most frequent undoubtedly are gas heated homes, followed by electricity and then oil. Biomass central heating boilers are also rising in popularity, heated by sustainable products including wooden pellets or agricultural waste.|Properties in Britain are heated up by a range of fuels, including gas, electricity, oil, solid fuel and LPG boilers. Each fuel has a varying cost associated with it and that means you can find yourself with less expensive energy bills by switching how your house is heated. Even solar thermal panels are being considered by many in order to cut heating bills for the years to come.